Incredible custom built Toll Brothers home on one of the most premium settings in Saline Estates. No expense was spared inside and out to create one of the finest homes on the market today in Saline Schools. The setting is spectacular with towering mature Oak Trees, large backyard, oversized Azek deck, and extensive landscaping. The interior of this home is loaded with top of the line finish material and amenities. 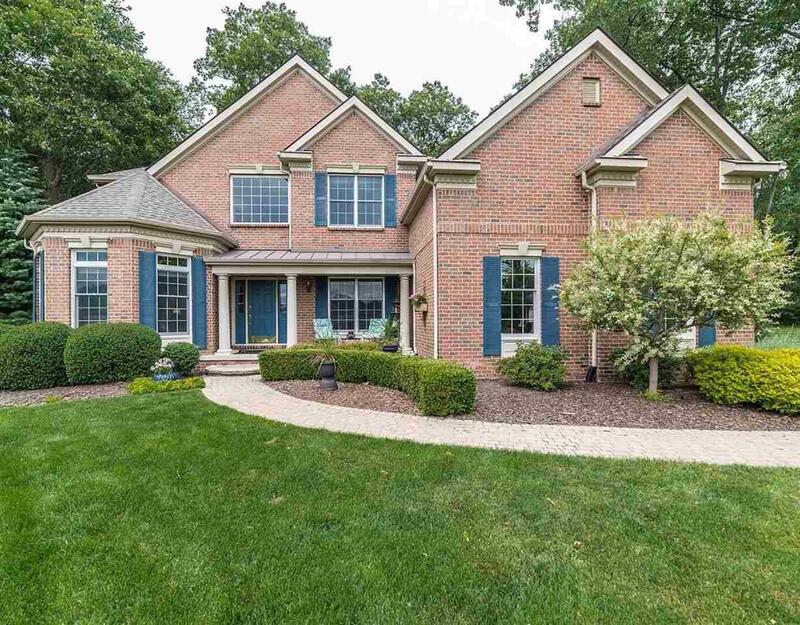 Highlights include welcoming two story foyer, Cherry kitchen with granite and SS appliances, open concept family room with vaulted ceiling and back staircase, large main level den, and great formal spaces including additional sun room. The second level features a spacious master suite with sitting room, large walk-in closet, and spa-like bath plus 2nd bedroom with private bathroom suite, and jack-n-bath for bedrooms 3 and 4. The finished walkout basement includes large flex-use rec room, bath, and work shop. There is space for additional 5th bedroom in the basement.